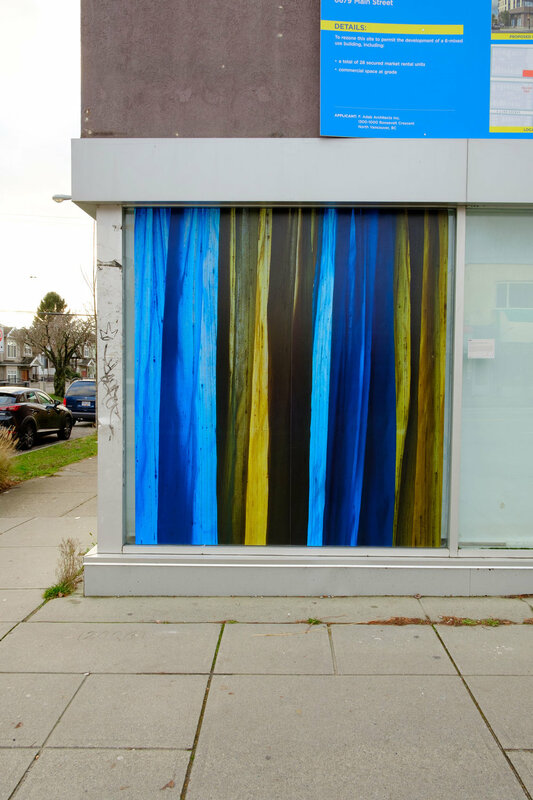 Alexander’s work comprised of a mural size photograph in the window of an abandoned retail building ‘Frontier Cloth House’ on Main St. in Punjabi Market. Alexander recently moved to Montreal, but when she lived in Vancouver, she remembers coming to the Punjabi Market area to eat delicious dosas and shop for beautiful raw silk. 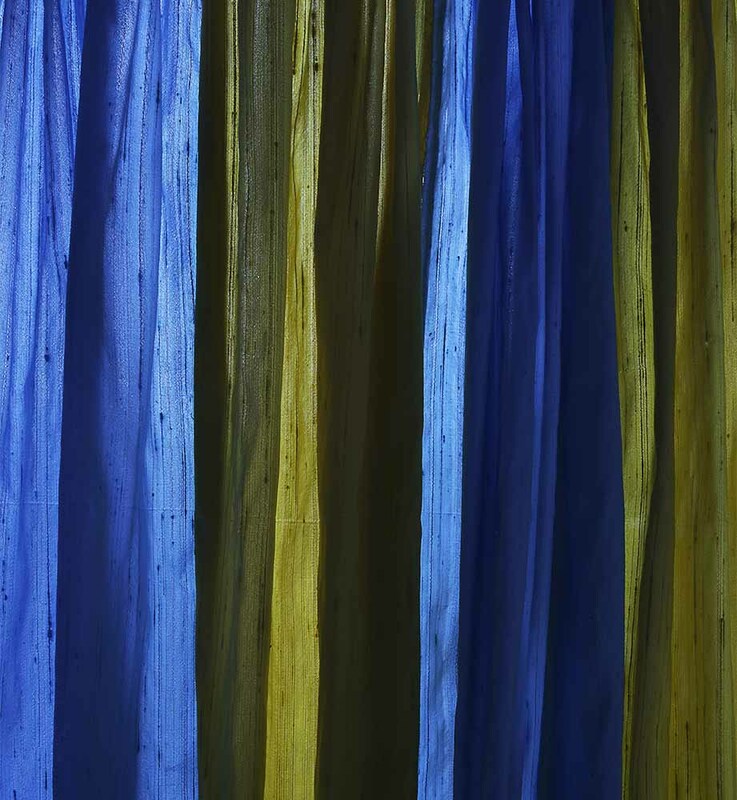 “I was shocked to see that this once thriving retail area is now mostly abandoned,” Alexander told us, “as the businesses have followed their clientele to areas outside of the city.” The image she created for the storefront window of ‘Frontier Cloth House’ featured a ceiling-to-floor image of a backlit curtain made from brightly coloured silk. The image did not fill the enormous windows, so it was clear that the shop is empty, but the light behind the curtain implied that there was still some life in the building. “I am hoping that it will be a poignant reminder of what was there,” Alexander noted, gesturing towards the loss and transition that marks all cities in change. Vikky Alexander is represented by Downs&Ross, New York, Cooper Cole, Toronto, Wilding Cran, Los Angeles and Trepanier Baer, Calgary. She currently lives in Montreal.